We are not employees of an insurance company, we represent you. At Roth Jorstad Insurance we will stay with you on a long term basis. We offer you choices of the policies that best fit your needs from numerous excellent insurance companies that we represent. Roth Jorstad Insurance was formed in 1999 when Jorstad Insurance Agency and Roth Insurance Agency merged to better serve their customers. Jorstad Insurance Agency was established in 1934 by Sidney Jorstad. Roth Insurance Agency was founded in 1976 by Bob Roth. 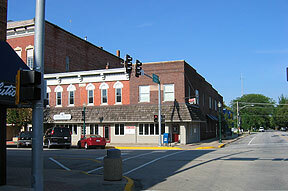 The office is located in downtown Morris, on the corner of Liberty and Jefferson Streets. Farm business is also serviced at the Nettle Creek Road Office. We will work hard, both professionally and personally, to support the community that has given us the opportunity to be in business.